I read this, about 7-10 years ago, though I think it may be older. I believe it was a short story, or else a small part (chapter, episode?) in a longer work. If it was a longer work, this was a closed chapter - the narrative must have moved on from this plot-line cleanly. I would appreciate any help in finding the story again, it is annoying since I recall parts of it so clearly. What I recall - there was an alien race, they seemed of low intelligence to humans, spoke the human language very poorly and seemed not to grasp concepts, and spent all their free time digging tunnels (as some sort of hobby, the Game, not something for survival). There was one who changes his name every time someone speaks about him, and would vanish when no one was looking. Others would ask all kinds of crazy questions, and seem not to understand the answers, would ask for word meanings, and still misuse the terms, things like that. As far as the plot goes, one group of humans was, well, pretty much exploiting them - they had them doing manual labor for payment in food, some tubers and berries, I guess, that were not common to the area. The manual labor was for a camp that was breaking the law (perhaps breaking a quarantine?) they may have been mining something without the rights to it, or it was some smuggling operation. Another (human) character comes up against the smuggling operation, or visits the world for some other reason and finds the illegal camp, maybe, and is held prisoner by the smugglers or criminals. She enlists the aliens to help her, either to escape or to survive after she has escaped. The world they are on is very cold, dark, not a lot of sunlight or plant growth, so she needs the help to survive. She persuades the aliens to help, and with a bit of planning and rabble-rousing, her group pretty much routs the smugglers camp, takes down their operation, lets the human girl call for the authorities, and basically warns off the operation from ever returning to that planet. As a side note, if this story was part of a longer work - the further plot must cover the human groups, not the aliens, I'm pretty sure that storyline ended here. I recall the ending, specifically, where the group of human and aliens are sending the message informing the smugglers that they were no longer welcome - one of the smugglers was suggesting drastic measures, and one of the natives popped up behind him, and said "wouldn't recommend it. Wouldn't recommend it, get lost!". When another smuggler suggests the setup could be a hoax (that the natives weren't actually smart but that one had just been parroting a message, the native teleporting in was maybe a hoax or a random mutant, that the whole situation was orchestrated by the human not really a native uprising) - the head of the group points out someone who could fake that is probably more dangerous than if it had been actually accomplished, since the takeover of the camp might have happened with a great deal of coincidence and luck on their opponent's side, but faking it took way too much skill. What I really recall about the book is that the alien race is not at all stupid, even though they seemed that way to the humans. They spoke very poorly because there were concepts that didn't translate into their experience, and also because it amused them that the humans would get all confused. I think, maybe, the aliens were telepaths, or empaths, so they could understand each other, and just found human language very odd, and were deliberately playing games with words, not just misunderstanding them, because they knew the humans did not mean what they were saying and/or said things they didn't mean as well. The one who changed names, part of it was that names were a new concept (since they always knew who they were, what with the telepath/empath thing, so they hadn't needed them before), and part was the vanishing act, he could teleport, and was playing with philosophy if the him that arrived after teleporting was the same as the him that left, or something. They let themselves be "underpaid" because they knew the berries and tubers would take more time for them to gather than that they "worked" for the smugglers (so it was valuable to them), and because they were digging tunnels anyway (for the Game) and didn't mind the smugglers walking off with some of their waste rock, and because it gave them a chance to observe the humans up close and amuse themselves with them - they were kind of playing along, not really being loyal, or afraid, or anything, and they didn't need more than they were being offered. And the Game of digging tunnels - this I recall very well - was actually a long term project, pretty much terraforming the planet. Apparently, the world had changed its orbit or gradually slipped out of it, slowly getting colder or further from the star, and it was becoming harder to survive as the temperatures dropped. So, they dug tunnels to maybe use the core's warmth as a stopgap, and also calculated the planet's orbit and rotation, and the tunnels were carefully planned to gradually shift the mass of the planet enough, between hollow spaces and moving the waste rock, to alter the planet's rotation and eventually its orbit to something warmer and more survivable. I think it is possible, after this tidbit comes out, that the human character makes some suggestions as to how they can live better in the meantime, since it will take thousands of years for the Game to pay off - pretty much gives them the basics of civilization (I want to say the use of fire was among the suggestions, but that may be symbolic. Probably agriculture, though), and the character is afterwards conflicted that she has meddled, put them on the path of their civilization instead of letting them find their own way. Again, if anyone can help identify this work, I would appreciate it a lot. It is nagging at my memory and I would like to find it again. The novel takes place in 550 A.A. (After Amalgamation in Foster’s timeline, 2950 AD). Flinx, no longer a poor orphan, is chasing a merchant to Hivehom and Terra in search of information about his parentage. Along the way Flinx is joined by Sylzenzuzex, a female Thranx member of the Commonwealth Church. 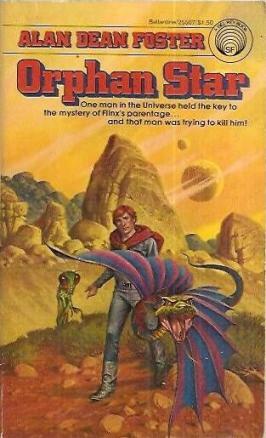 His chase leads him to Ulru-Ujurr, a planet under Edict from the United Church, ostensibly because it contains a highly intelligent telepathic race. It is on Ulru-Ujurr that he discovers the mystery of his parentage and begins the childlike Ulru-Ujurrians on their "Game of Civilization". Trailing Challis to a world off-limits to the general public and kept off most maps, Flinx found and befriended a bear-like species of primitives (albeit with not entirely obvious super-intelligence and considerable powers, and engaged in a millennia long reconstruction of their planet by tunnelling) called Ulru-Ujurrians. Flinx attempts to teach them enough to cope with civilization, including the reptilian AAnn, and helped them make a few steps toward becoming a "civilized" people. In turn they declared him 'The Teacher' (despite his protests) and built him a unique and powerful starship which they christened "Teacher". This is the most common cover, by Darrell Sweet. Not the answer you're looking for? Browse other questions tagged story-identification aliens terraforming or ask your own question. Short story with twist ending where astronaut wakes up to find alien poised over his body?